A leader in sustainability, innovation and quality, Villa Maria is a family-owned winery recognised as an icon in the New Zealand wine industry. 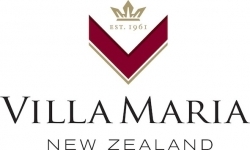 Listed as ‘Third Most Admired Wine Brand in the World’ Villa Maria now exports to over 60 countries. We have a number of vacancies to work with our award-winning team as a Cellar Hand. These positions are working with a team of motivated people who are committed to both, the wine industry and pursuit of excellence. The successful candidates will be involved in all aspects of cellar work and will undertake a training and development programme. Most importantly, you will need to have a winning attitude. The role is physical in nature and requires a good level of strength and fitness. Certification in fork hoist operations and confined space entry is desirable. To apply, please attach your curriculum vitae, cover letter and complete the application form via the button above. All candidates must be eligible to work permanently in New Zealand. Applications close 26th April 2019. For information about the Marlborough wine region, click here.